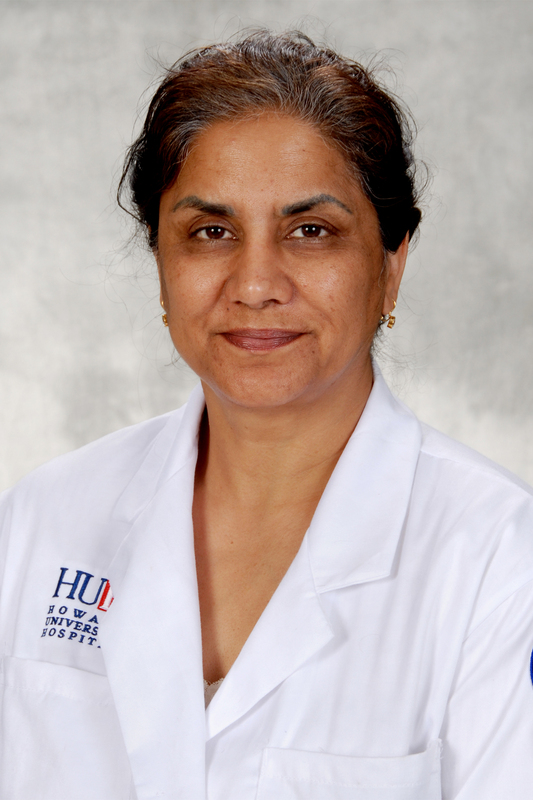 Howard University Cancer Center and Howard University Hospital announce the arrival of Vinita Singh, M.D., as its newest cancer physician. Dr. Singh brings more than 25 years of experience in oncology, internal medicine, and in hematology, or blood cancer. Dr. Singh has been appointed assistant professor of medicine in the College of Medicine and will serve as hematology-oncology fellowship program director. Dr. Singh has a broad scope of practice and treats many of the most common cancers. She has specialized experience in breast, gynecologic, colorectal and hematologic malignancies. After earning a medical degree from the Armed Forces Medical College in New Delhi, India, Dr. Singh completed her residencies at Delhi University (Ob/Gyn) and Washington Hospital Center in internal medicine. She also completed a fellowship in hematology oncology at Washington Hospital Center. The Howard University Cancer Center offers a free breast and cervical cancer screening program for eligible women from the District of Columbia, Maryland and Virginia. For more information or to find out if you qualify, call (202) 865-4655. The Cancer Center also provides prostate screening every third Wednesday of the month from 1 p.m. to 3 p.m. at Howard University Hospital. To schedule Cancer Center appointments, please call (202) 865-1002. The Howard University Cancer Center has had a long history of serving minorities and underserved populations and addressing disparities. Thus, the mission of HUCC is to reduce the burden of cancer through research, education, and service, with emphasis on the unique ethnic and cultural aspects of minority and underserved populations. The Cancer Center has provided specialized, culturally competent breast cancer screening and treatment for over 25 years. For more information about the Howard University Cancer Center, visit Facebook.